Who’s ready to roll? Baby can squish, squeeze, stack and have a BALL during playtime! This 3” soft ball is bendable and dependable. Toss it in your diaper bag for fuss-free fun wherever you are! Let it go and watch it roll… or fold it up for more ways to play. Nesting, stacking, and so much more! 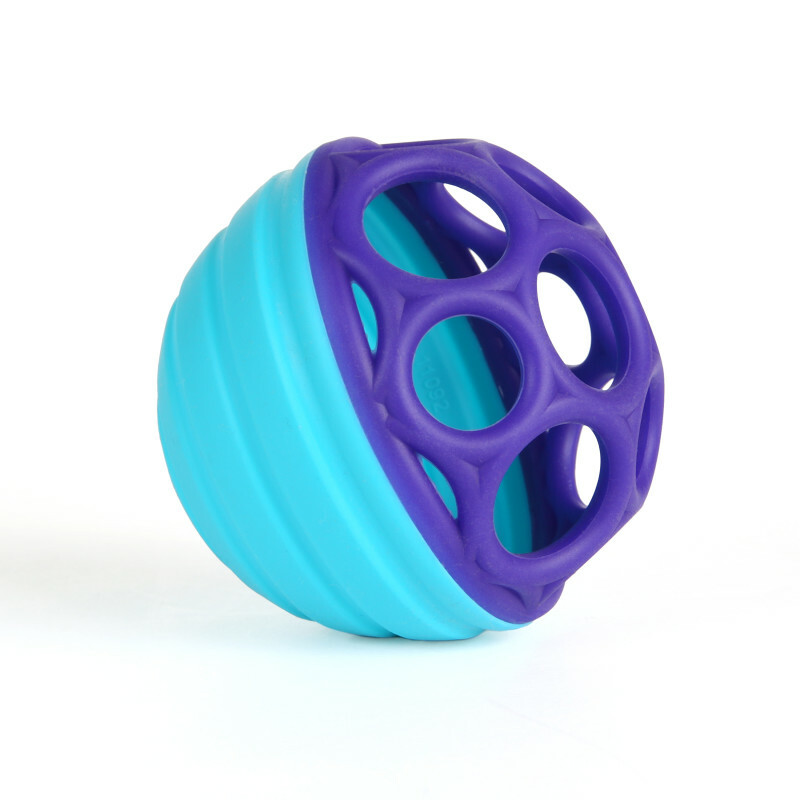 Pair it with another Flex & Stack Ball so your little one can discover the full nesting features of the ball. Thanks to the signature easy to grasp Oball design, even the littlest of hands can grip and go with this toy. Many ways to play - flex, roll & go! Dimension (in) 3" x 3" x 3"